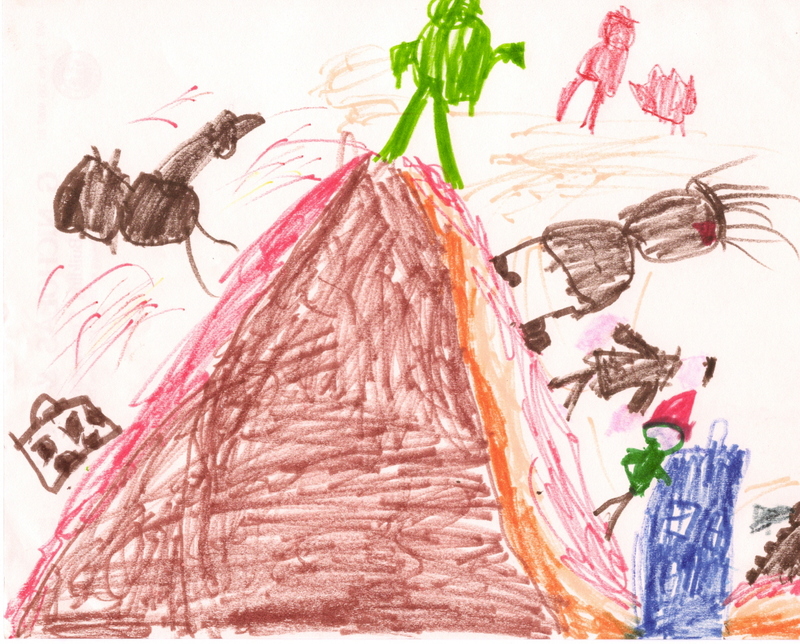 “Volcano Day”, courtesy of Joshua. The brown things chasing the Doctor are werewolves and the green thing on the top is the Absorbaloff. There is a Dalek there as well if you look.